Buy 1 for $18.03Buy 2 / Save $0.96!Buy 3 / Save $3.61! Uva Ursi contains arbutin, which hydrolyzes to the toxic urinary antiseptic hydroquinone. Use should be under medical supervision. 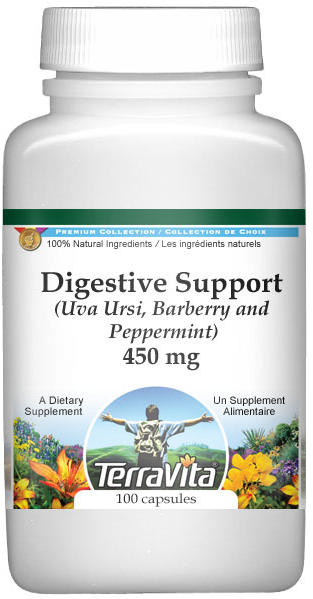 Uva Ursi can lead to stomach distress, and prolonged use can produce chronic poisoning. High doses may cause nausea. Peppermint may interfere with iron absorption. It may also reduce milk flow; take internally with caution if breastfeeding.